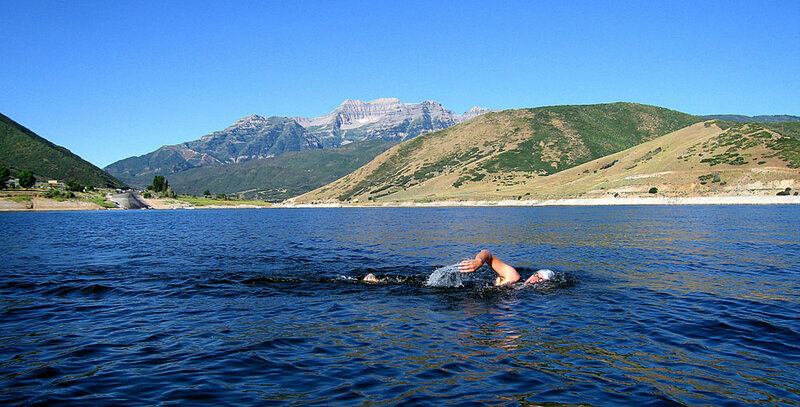 It's no surprise to us here in Utah, but the Deer Creek Open Water Marathon Swim was named one of America's Top 50 Open Water Swims. Events were subjectively ranked with priority given to events that have long histories, many participants or are held in historical or beautiful locations. Deer Creek is number 34 on the list. Location: Deer Creek Reservoir, Walsburg Bay, Utah. • Course: All courses hug the coastline of Deer Creek. • Description: Flat water course in beautiful lake southeast of Salt Lake City. • Additional Information: One of the handful of races in this part of the Rocky Mountain range where the altitude is 5417 feet (1651 meters), adding another element to the swim. This year's swim will take place on Saturday August 14. Details on registration can be found on the event website.